Halloween 2018 is fast approaching and at Party Glitters locations in Brooklyn, Queens and Long Island we have large selection of boys Halloween costumes. But which ones are trendy and popular? Well, we have compiled a list of the most popular and fun costume trends of 2018. 1. Obi Wan Kenobi. You won't need to use the force to put his favorite Jedi's signature brown robe together. And head to our locations in East Williamsburg, Corona or Jackson Heights for a lightsaber and other Star Wars supplies. 2. Sherlock Holmes. If he called you out for sneaking just one piece of his Halloween candy stash last year, this detective costume will be right up his alley. 3. Captain Jack Sparrow. Everyone's favorite funny and quirky pirate. 4. Peter Pan. Classic Disney character, a quintessential boy costume. 5. Doctor. This costume comes with plenty of go-to doctor tools — including a mask, stethoscope, reflex hammer, ear scope and syringe — so he can try his potential future vocation on for size. 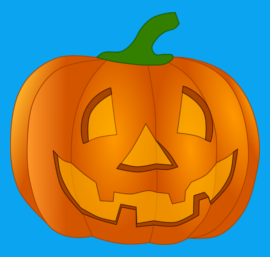 We hope you will find these list useful in making a Halloween costume decision for your son. For all party supllies visit our locations in Brooklyn, Queens and Long Island.